Get your Instant Pot out, I have an awesome recipe for you to try! This recipe is made start to finish in the Instant Pot. 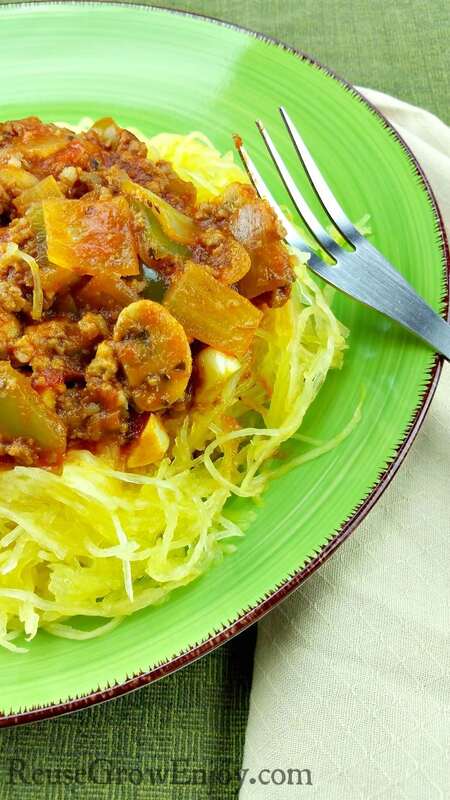 It is a recipe for Instant Pot Spaghetti Squash With Meat Sauce. In my house we have to eat low carb has my husband is a diabetic. We had first switched over to whole wheat pasta for the higher fiber content to make sugar levels in the body rise slower. But now we have found the wonderful world of spaghetti squash! It is so easy to make it in the Instant Pot and does not have a strong flavor at all just like eating pasta, but much better for you! 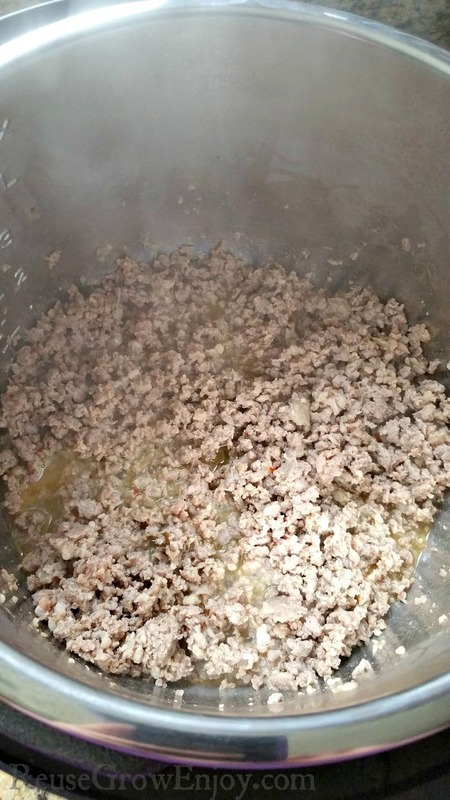 For this recipe, we used fresh sausage for our meat. But you could also use beef or chicken. Just depends on the meat you want to use. I choose the sausage as it is a little spicier the way we have it done (we buy bulk with a live pig and have it made fresh and local by a butcher). The first thing you want to do is follow the directions for Instant Pot Spaghetti Squash here. 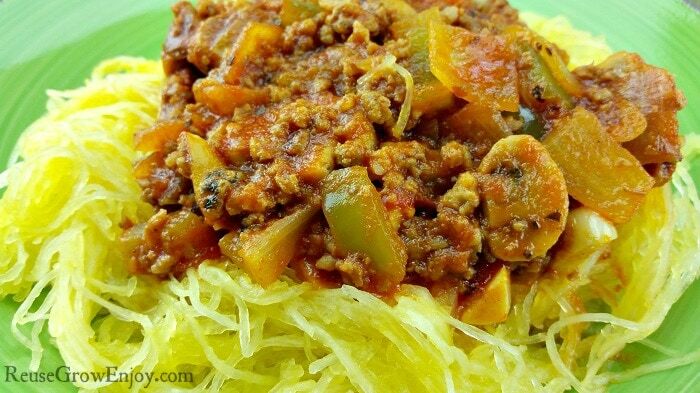 Then you can follow the directions below to make the spaghetti squash with meat sauce. If you liked this Instant Pot recipe, here are a few others to try. First thing you want to do is follow the directions here to cook your spaghetti squash. After it is cooked, put it aside. Next, put the inner pot into the Instant Pot. After the meat is fully browned, drain it well. 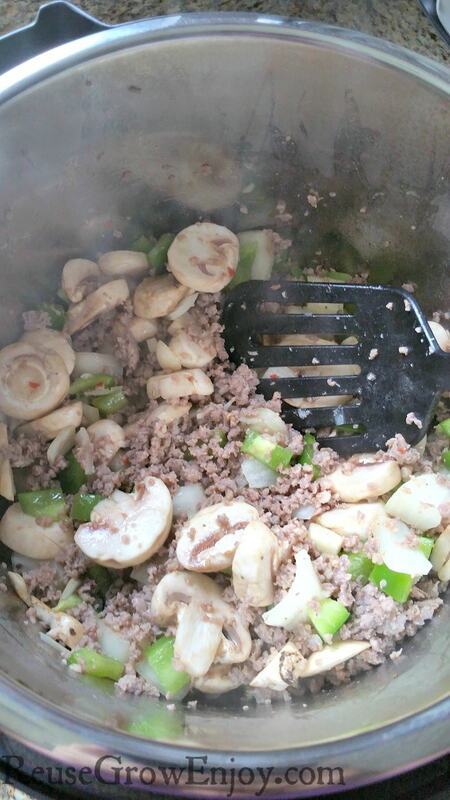 Then add it back to the pot and dump in the veggies. Cook it this way for about 5 minutes while giving it a stir here and there. 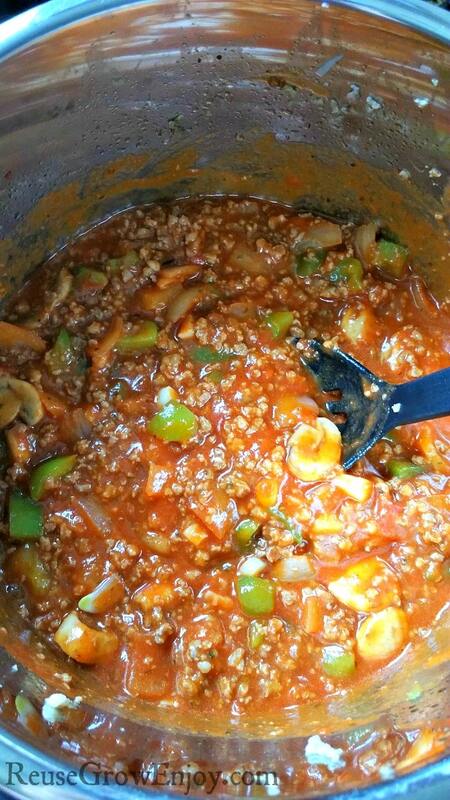 After the veggies have slightly softened, add the pasta sauce and cook another 5 minutes. Don't forget to stir it. 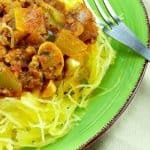 Now you can either mix in your made spaghetti squash or you can put some on a plate with some of the meat sauce over it.